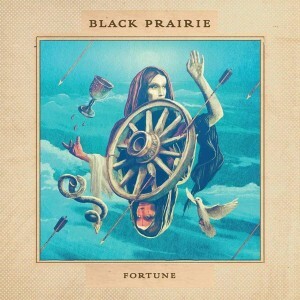 Fortune, Black Prairie’s 3rd full length record on Sugar Hill Records, was produced and mixed by Vance Powell (The Dead Weather, Red Fang) in the band’s hometown of Portland, OR. In a way, Fortune is Black Prairie’s most conventional record—thirteen, polished vocal tunes with (mostly) conventional pop song structures. On the other hand, there’s a glaring eccentricity to Fortune that hits you right away: here is a band of accomplished acoustic musicians playing what are essentially rock songs, and sometimes with a pretty hard edge—it’s a record, band members say, that’s trying to channel not the spirit of Earl Scruggs or Jerry Douglas, but Led Zeppelin.